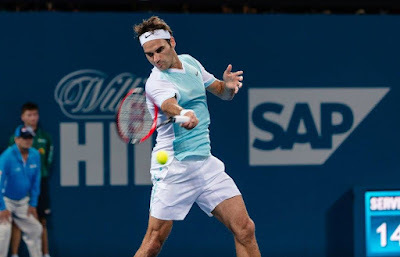 Roger Federer began his 2016 ATP World Tour season on Thursday night by beating qualifier Tobias Kamke 6-2, 6-1 in just 55 minutes at the Brisbane International. 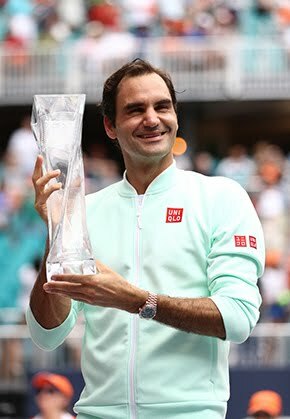 Federer has won his first tour-level match of the season each year for 18 straight seasons, since his ATP World Tour debut when he lost to Lucas Arnold Ker at Gstaad in 1998. "I'm extremely pleased I was able to win today," said Federer, who was contesting his first match since Ivan Ljubicic replaced Stefan Edberg as his coach. "I was extremely happy with the work that Stefan was doing," said Federer. "He's been incredible. To get two years out of him was amazing, that was willing to take it on and give it a shot. "When Ivan got available towards the end of the season, that's when I called him up. I thought he could be someone very interesting and exciting for my game, for my team. He could match well. He knows everybody. He is also a dad. He still plays very well. He's played against most of my opponents. He's played me a bunch and knows my game very well. He's now also been a coach for a couple years, which I thought was important. He's done very well with Milos Raonic, so very excited he's on the team. Today was our first win together, so that was nice as well." Top seed Federer, who beat Raonic in last year's final, is attempting to capture his 89th tour-level title this week. 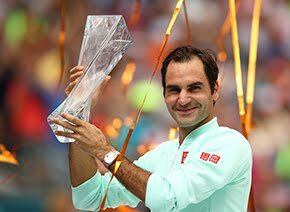 He is also bidding to lift his ninth trophy in the month of January (also 2002 Sydney, 2005-06, '11 Doha, 2006-07, '10 Australian Open and 2015 Brisbane). Federer has a 3-0 ATP Head to Head record against his quarter-final opponent, Grigor Dimitrov, who defeated Viktor Troicki earlier in the day. Federer beat Dimitrov in last year's semi-finals. "Tomorrow is going to be tougher. It's earlier in the tournament. Okay, maybe just one round earlier. In practice, in December, it's been great. I have been hitting the ball well. I am where I want to be. Then again, tomorrow we'll see. Grigor's had a tough grind today, but he's extremely match tough. I expect him to be fresh again tomorrow. I played him quite aggressive last year and that worked well." Federer contracted a flu-like illness off his family in the days leading up to the tournament. "The way I started to feel late last night and today, with the speed of the court and all that, I felt like I’m happy to give it a go," he said. "I guess I got some kind of flu. My whole family had it. I was the last guy to get it, so I knew what I was getting into when I was not feeling well." Federer, who had a bye in the first round, said he asked tournament organisers for a later start to give him extra time to overcome his illness. "So I started to feel a little bit better. That’s why I came out on Wednesday for a hit, just to see how things are. I was happy. There was no need to push it at all. I am not somebody that needs to play much before matches."